Laughter is the best medicine. This feel-good yoga session involves stimulated laughter yoga, simple/gentle stretches and yogic breathing with relaxation exercises. 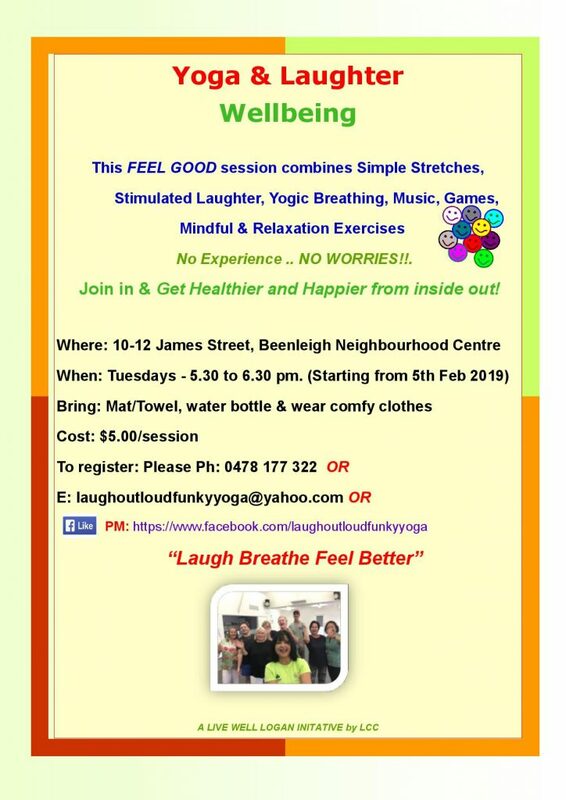 This activity is part of Logan City Council’s Live Well Logan initiative. Click here for more information about Live Well Logan. Requirements: Wear comfortable clothing and bring your own towel and water bottle.